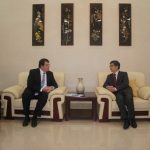 INIA’s Director Dr. Marvin Formosa and Research and Programme Manager Rosette Farrugia-Bonello met with the Chinese Ambassador to Malta H.E. Mr. Cai Jinbaiao at the Chinese Embassy. 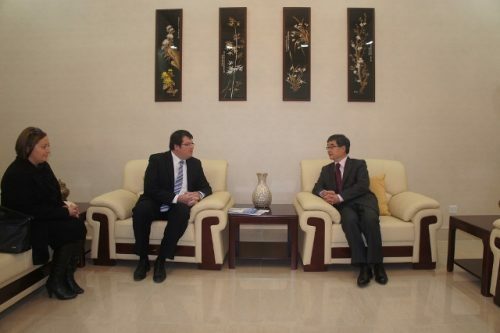 Both sides exchanged views on strengthening co-operation on the issue of ageing. Dr. Formosa introduces the role and work at INIA in the hopes that it would continue to enhance exchange and co-operation with China on ageing. H.E. Mr. Cai Jinbaiao highly commended INIA for its positive work and said China would like to share with INIA and Malta on how to meet the challenge of ageing which is of a global issue.